I left my hat on the train the other day. The family and I were coming back from an event downtown. It was late, we were tired, and I took my hat off right before I closed my eyes for a train ride snooze session. When I woke up at our stop, I had completely forgotten that I had removed my hat. I didn’t realize that I wasn’t wearing it until we were already on our way home from the train station. By then, the train had moved on to the next stop, and my beautiful crochet hat was riding the rails all alone. After I was done being mad at myself, I pulled out my phone and took to the Internet in search of an easy crochet hat pattern. 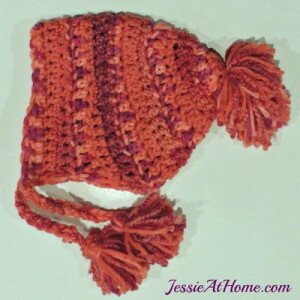 I fell in love with this easy crochet hat pattern when I first laid eyes on it. 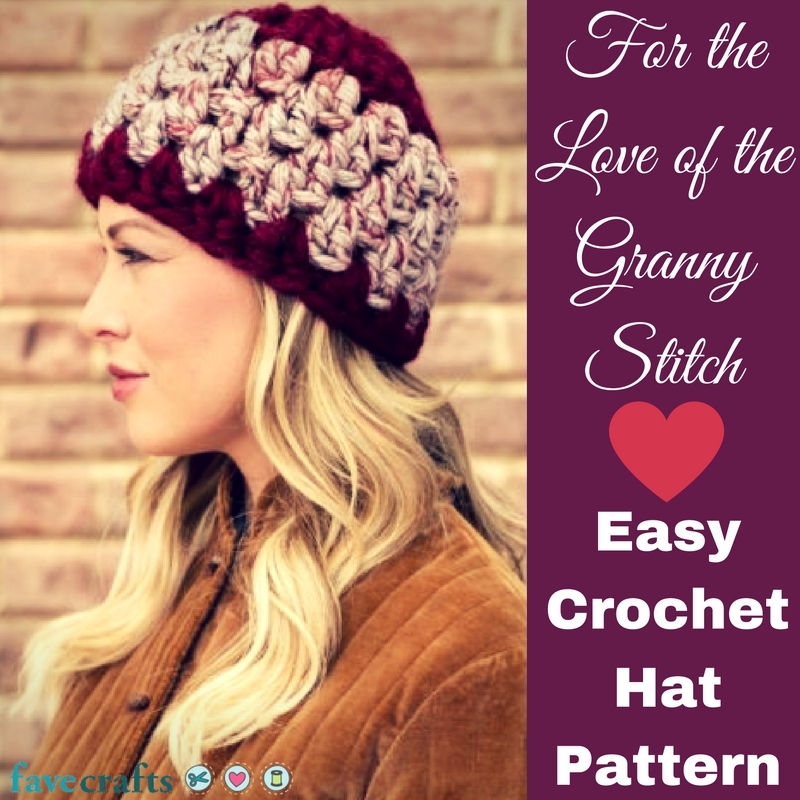 It’s beautiful, stylish, and uses the granny stitch to create a hat that is comfy, cozy, and eye-catching. The best part is, this easy crochet hat can be whipped up in no time! With work kicking into high gear after the holidays, I don’t have the time I’d like for making a detailed and intricate piece for my head. 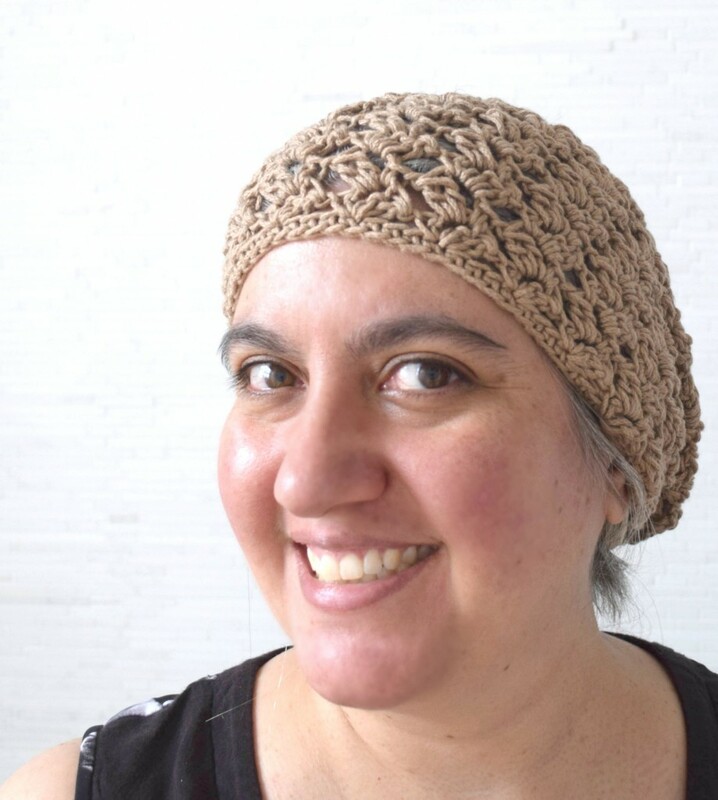 This easy crochet hat pattern takes my time into consideration and still makes something that I’m absolutely thrilled about wearing out and about on our next trip downtown. I’ll make a note to put my hat in my pocket the next time that I decide to take it off. Finished Size: Hat measures 20 (22½)” [51 (57) cm] circumference at brim. 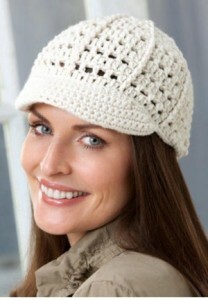 Easy Crochet Hat is worked in joined rounds with right side facing. Adjustable-ring method = Wrap yarn into a ring, ensuring that the tail falls behind the working yarn. Grip ring and tail firmly between middle finger and thumb. Insert hook through center of ring, yarn over (with working yarn) and draw up a loop. Work stitches of first round in ring, working over both strands (the tail and the ring). After the first round of stitches is worked, pull gently, but firmly, on tail to tighten ring. 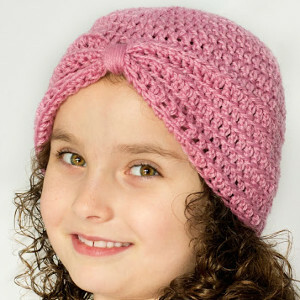 Directions for this easy crochet hat pattern make a size small. Changes for size large are in parentheses. Round 1: Ch 3 (counts as first dc here and throughout), 8 (9) dc in ring; join with slip st in top of beginning ch—9 (10) dc. Pull gently on tail to close ring. Round 2: Ch 3, dc in same st as join, 2 dc in each dc around; join with slip st in top of beginning ch—18 (20) dc. Round 3: Ch 3, 2 dc in next dc, *dc in next dc, 2 dc in next dc; repeat from * around; join with slip st in top of beginning ch; change to B—27 (30) dc. Round 4: Ch 3, dc in same st as join, skip next dc, *2 dc in next dc, skip next dc; repeat from * around to last dc, dc in last dc; join with slip st in top of beginning ch—13 two-dc groups and 1 dc. Rounds 5 and 6: Slip st in next dc, slip st in space before next 2-dc group, ch 3, dc in same space, *2 dc in next space between 2-dc groups; repeat from * 11 times, 2 dc in space before last dc, dc in space between last dc and beginning ch; join with slip st in top of beginning ch. Round 7: Slip st in next dc; change to A, slip st in space before next 2-dc group, ch 3, dc in same space, *2 dc in next space between 2-dc groups; repeat from * 11 times, 2 dc in space before last dc, dc in space between last dc and beginning ch; join with slip st in top of beginning ch. Fasten off. Round 4: Ch 3, dc in same st as join, skip next dc, *2 dc in next dc, skip next dc; repeat from * around; join with slip st in top of beginning ch—15 two-2 dc groups. Rounds 5–7: Slip st in next dc, slip st in space before next 2-dc group, ch 3, dc in same space, 2 dc in each space between 2-dc groups around; join with slip st in top of beginning ch. Round 8: Slip st in next dc; change to A, slip st in space before next 2-dc group, ch 3, dc in same space, 2 dc in each space between 2-dc groups around; join with slip st in top of beginning ch. Fasten off. I’m always on the lookout for more fantastic hats! What are some of your favorite winter hats to crochet? Winter has finally arrived, and you know what that means! It’s time to dig into the closet and find all of those old hats, gloves, and scarves we tucked away last spring. We need to find our extra warm clothes and bundle up before we head outside. Those gusts of frosty wind can really bite, and it’s no fun to trek in the snow when we’re exposed to Jack Frost’s icy teeth. If you’re like me, you may have forgotten where you stored last year’s winter hats. It’s a recurring problem I should fix, I know. My old hats will turn up eventually (they always do), but in the meantime, I’ve put together a list of crochet beanie patterns to get you (and me) through the winter. I like to keep these crochet beanie patterns handy for when that first big winter storm hits. It’s good to be prepared, and with some of these patterns, it’s easier to make a new beanie than rummage through the closet looking for last year’s favorite hat. As the seasons change, so should our attire, right? Plus, some of these crochet beanie patterns make really fantastic hats that I’ve been dying to try out, anyway! 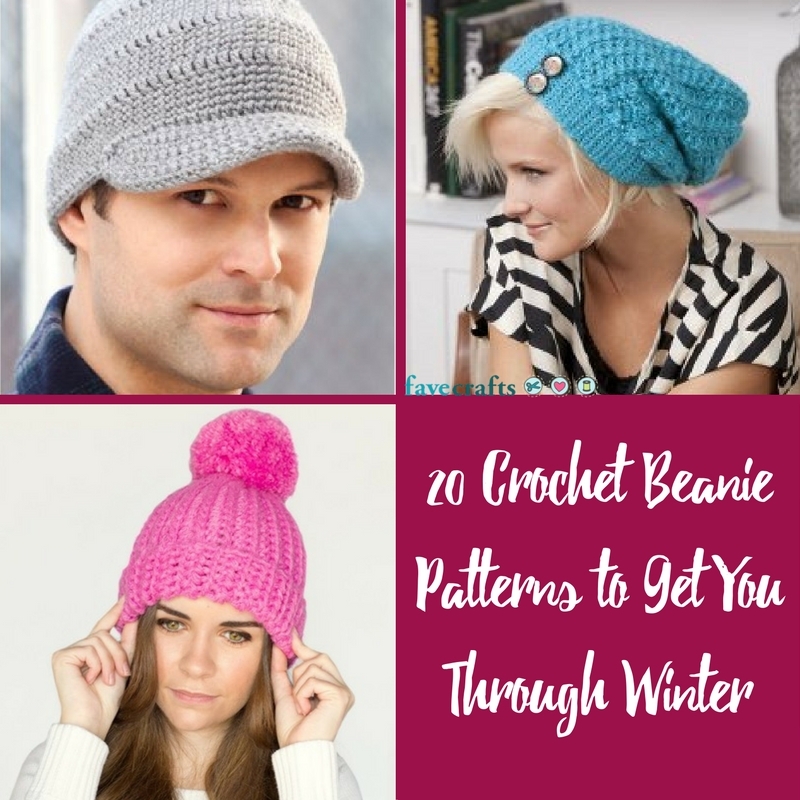 In the collection of crochet beanie patterns below, I’ve collected 20 amazing patterns that make wonderful winter hats for adults. Some of these patterns are unisex, and at least one crochet beanie pattern is designed specifically for men. 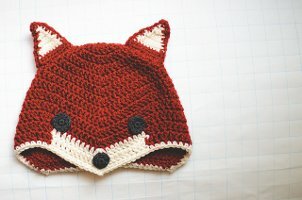 All of these crochet beanie patterns are for adults, but some patterns offer adjustments if you’re planning on making one of these for a small child. Beanies are my personal favorite seasonal project. What are some of your favorite crochet projects to make during the winter? There’s nothing like a cute and comfy hat to get you through the week. And during the winter, a hat is basically part of the required uniform. So, if you’re going to be donning a hat every day, why not have fun with it? 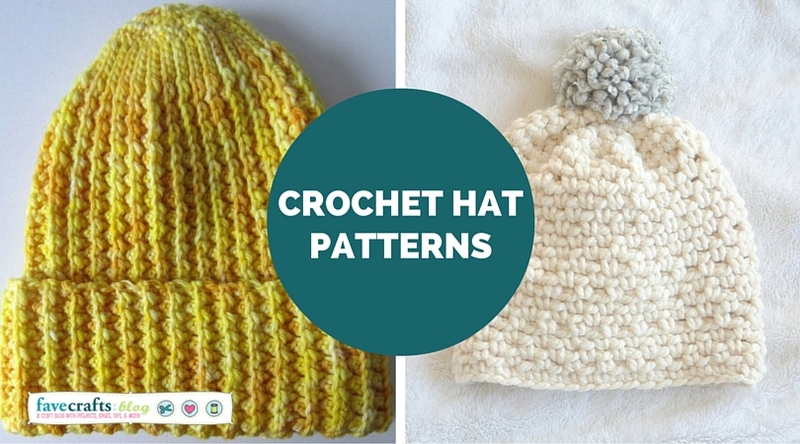 We’ve rounded up some of our favorite crochet hat patterns to provide you with a Crochet Hat Pattern for Every Day of the Week. So let’s get started! Getting up on a Monday can be the most daunting task of your entire week. You have the entire week ahead of you, and so much to do. 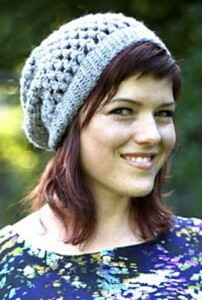 So, tackle the world with this adorable Grey Slouchie Crochet Beanie! It’s guaranteed to cure the Monday blues and make you feel ready to start your week. Tuesdays are for feeling pretty and looking good. They are also, coincidentally, for tacos. But what’s really important is – how will you look good this Tuesday? 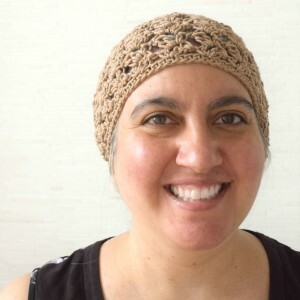 We recommend trying out this cute Crazy for Crochet Turban. It’s a unique hat that will go with almost any outfit. And the stylish knot at the front of the hat will bring a touch of elegance and femininity to any ensemble. Get ready to knock them dead! It’s the middle of the week. You’re almost there! Just a few more days, and you’ll have made it to the weekend. But until then, it’s time to buckle down and get to work. And that is exactly what this adorable Crochet Newsboy Hat will help you do. Modeled after classic newsboys’ caps, this darling cap will help you focus on your goals for the week and get to work! The end if almost in sight! You can feel the weekend drawing nearer. But it’s only Thursday, and you’re wondering how you can possibly make it to the weekend. Well never fear! This charming Warm Hug Crochet Hat is here to comfort you and give you hope. No matter how rough this week had been, you will get through it! It’s FRIDAY! YAY! Time to celebrate! It’s time to get ready to enjoy the weekend. And what better way to enjoy the weekend than with this stylish and classic Faux Mistake Rib Easy Crochet Hat? 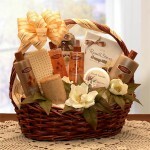 it’s simple and understated, but it is sure to bring you lots of compliments! Saturdays are for going on adventures. They’re for discovering your new favorite activity, and spending time with the people you love. So you might as well feel cute and comfy while doing it! The Big Pom Big Style Winter Hat is a carefree and comfortable hat that you will instantly fall in love with. Pull it out for the weekend to relax in style! It’s Sunday-Funday! Time to pull out your favorite fun and silly hats and wear them proudly. This week, we have something for all the true Star Wars fan out there, the Storm Trooper-Inspired Beanie! Wear your love for Star Wars proudly with this cute and fun hat! Comment below and let us know, what’s your favorite crochet hat pattern? I’m Marie from Underground Crafter, and I’m looking forward to the arrival of the fall (or autumn, as many international readers would say). Fall is my favorite season for showing off my crochet projects! 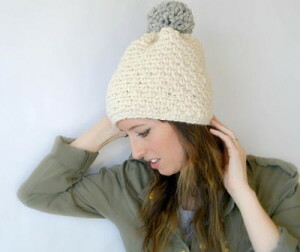 I’m sharing a free crochet pattern for an easy, transitional weather hat! And, best of all, you can make it with just one-skein of yarn. The combination of an airy stitch pattern with a cotton blend yarn makes this hat perfect for a cool summer night or an autumn day. Adult: 19.5” (49.5 cm) circumference. Cascade Yarns Avalon (50% cotton/50% acrylic, 3 oz/100 g, 175 yd/160 m) – 1 skein in 06 Tannin, or approximately 175 yd (160 m) in any cotton blend medium weight yarn. 15 sts x 12 rows in pattern = 4” (10 cm). For best fit, always check your gauge. cl – cluster – (Yo, insert hook in st, yo and draw up a loop, yo and draw through 2 loops) twice in same st or sp, yo and draw through all 3 loops on hook. 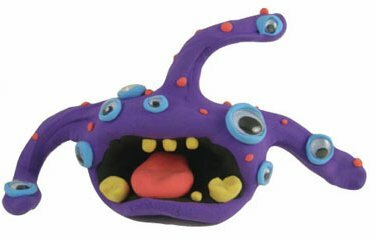 sc2tog – single crochet 2 sts together – (Insert hook in next st, yo and draw up a loop) twice, yo and draw through all 3 loops on hook. 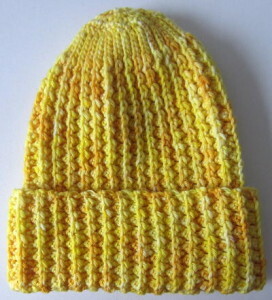 Hat pattern stitch is worked flat in rows and joined. 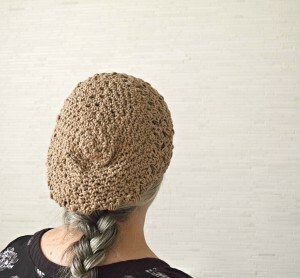 Slouchy crown of hat is crocheted in the round. Starting at brim and leaving a long yarn tail (approximately 18”/46 cm) for seaming, ch 74. Row 2: Turn, ch 4, cl in same st, ch 1, *(sc, ch 3, cl, ch 1) in ch-3 sp; rep from * across to last ch-3 sp, (sc, ch 2, cl, ch 1) in last ch-3 sp, dc in last st.
Row 3: Turn, ch 1, sc in first st, (ch 3, cl, ch 1) in ch-2 sp, *(sc, ch 3, cl, ch 1) in ch-3 sp; rep from * across, sc to top of t-ch. Rep Rows 3 & 4 until piece measures approximately 5.5” (14 cm) wide. Do not fasten off. Pm in loop of last st (to hold st) and remove hook. Working on the WS and using long yarn tail from foundation chain, seam short edges together by working sl sts through both layers. Turn RS out and return hook to loop with marker. Rnd 1: Sc in ea sc, cl, ch-1 sp, and ch-3 sp around. Pm to mark last st. Move up marker ea Rnd. Rnd 3: *Sc in next st, ch 1, sk 1; rep from * around to last st, sc. Rnd 5: Rep Rnd 3. Rnd 7: Rep Rnd 3. Rnd 9: Rep Rnd 3. Rnd 11: Rep Rnd 3. Rnd 13: Rep Rnd 3. Rnd 15: Rep Rnd 3. Rnd 17: Rep Rnd 3. Rnd 18: Rep Rnd 16. (5 sts) Fasten off with long yarn tail (approximately 12”/30.5 cm) for seaming. With yarn needle and long yarn tail, seam crown closed. Weave in ends on WS of hat. Spray block if necessary. If you’re looking for more fall-themed projects, you may like Seventh Inning Stretch. 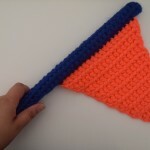 This free crochet pattern for a fun mini flag is a great way to show support for your favorite baseball team during the lead up to the World Series (also known as the Fall Classic). Take cover! With the end of fall comes the beginning of winter and you know what that means – hello, freezing temperatures! Don’t wait until it’s too late and (pardon the pun) get caught out in the cold. Instead, start working on one of these crochet or knit hat patterns now and use it all year long. 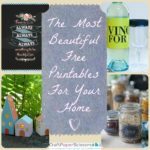 Whether you prefer a hook or can’t live without a pair of needles, there are plenty of free patterns on FaveCrafts to satisfy your DIY craving. Don’t spend big money on a simple beanie you could easily create at home. Use that money on something else (a warm beverage perhaps?) and show off your considerable craft skills. We’ve pulled together some of our favorite knit and crochet patterns to keep you busy all autumn long. 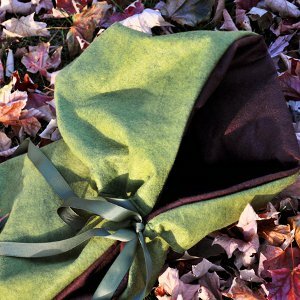 Make a hat for yourself and a few for family or friends – this is a great Christmas gift option! If you knit, you know it takes a while to complete a project. For this reason, it’s important start working on these hats today. That way, you’ll never have to leave home without a warm head covering. 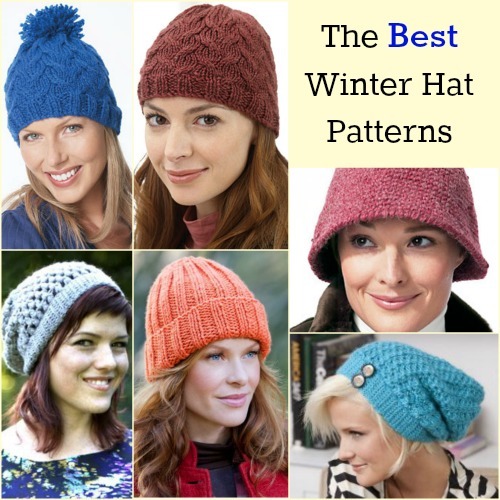 There are plenty of options for hat patterns and you can make one for everyone in your family. 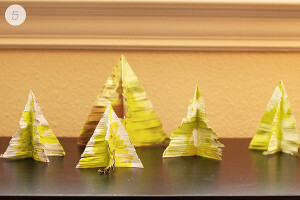 This year, give a handmade Christmas gift that people can actually use. It’s fair to say you might become a very popular gift giver, so prepare yourself for plenty of requests and compliments. Crochet patterns for winter hats may seem complicated, but that doesn’t always have to be the case. 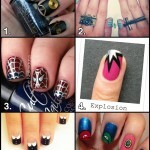 In fact, there are actually so many free and easy patterns that you can make. Why not test your skills and create a single-color beanie or hat? If you have a little more crochet experience under your belt, try your hand at a more complicated pattern like the Faux Trapper Hat. After all, who wouldn’t love to receive a big flouncy hat during the holiday season? Once upon a time, there was a special crafting fairy in search of fun fairy crafts to make with her friends. She journeyed through the magical forest of AllFreeHolidayCrafts, which had trees decorated like every holiday imaginable! Then, she flew over the enchanted gardens in AllFreePaperCrafts. There were tiny paper flowers and beautiful folded trees everywhere she looked. 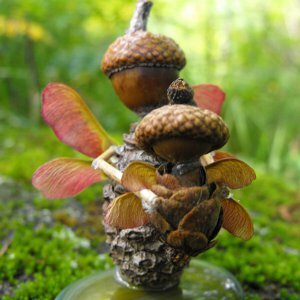 In the woodland village of AllFreeKidsCrafts, the fairy found little critters who were willing to play with her and help gather more crafts. When she returned, the little crafting fairy was feeling very inspired and had quite the collection to show her friends! 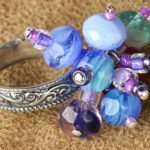 These 11 crafts, inspired by her journey, will help you have a few enchanted adventures of your own. You don’t need wings or a magic carpet in order to go on a grand trip. 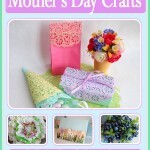 All you need is your imagination, a few craft supplies, and some magical craft ideas. 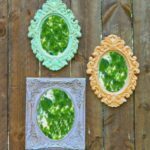 Whether you have a family of cute woodland critters, fairy princesses, loyal servants, or court jesters, these crafts will entertain the entire brood. Give your kids the gift of adventure this summer and encourage them to use their imagination in any way possible. 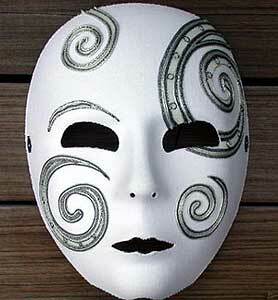 At the end of your journey in crafting, you will have new projects to enjoy and memories to cherish. 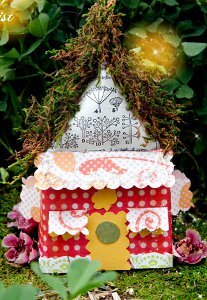 Get ready for most enchanting trip of your life and borrow a few project ideas from the crafting fairies. They surely won’t mind! When our little crafting fairy returned, she was especially excited to find so many lovely crochet patterns fit for a queen. 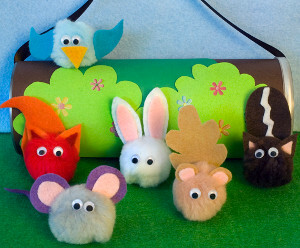 A few free woodland critter patterns will have you creating any type of forest creature from cute bears to lucky rabbits. Animal afghans and ornaments make great gifts for the tender-hearted friends of critters. Fairy tale crochet patterns can be made for the tiniest of fairies to the most elegant of mermaids (aka little girls and their moms). No matter which fairy tale patterns you choose, you will be adding a little magic to your day every time you make a craft. Which fairy tale is your all-time favorite and why? 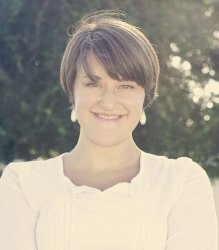 Today’s Meet and Make designer is Alli Hyler, a crochet designer for AllFreeCrochet.com. 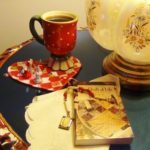 Alli enjoys crocheting for her daughters, and she chronicles her crochet adventures on her blog, Alli Crafts. You can see many of her sewing patterns on AllFreeCrochet as well. Before I became a stay-at-home-mom, I was an editor for a magazine. My husband works from home, which my girls and I love! Our only pet is a Beta fish named Buddy. My grandmother inspired me to learn to crochet. Her perfection in all she does, especially in her fiber arts, pushes me never to settle for less than my best. My two girls (10 months and 2 1/2) love to “crochet.” They like to stick the hooks in and pretend, but when they do, somebody usually ends up pulling some of it out or tangling the yarn into a knot. 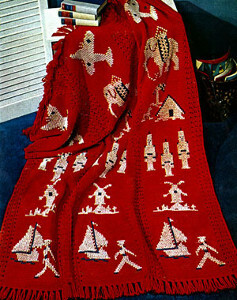 I have never bought a crochet pattern. 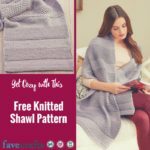 I’ve only ever used free patterns, which is the main reason that I give mine away. Almost everything I crochet is for someone specific. My creativity flows better when my work is a gift for someone. 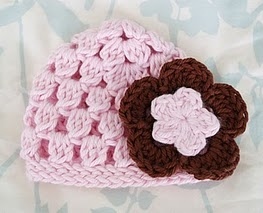 I love to make baby hats because, in addition to being so, so sweet, I can finish them in an evening. Short projects appeal to me – it’s often the only thing I’ve done in the day that will stay done. I keep my yarn stash in diaper boxes. Someday I want to learn to knit. Even though I love crochet, some things (like sweaters!) just look better knit. Hat should measure about 6″ in diameter for a newborn. Cluster -Make a dc within one step of finishing (2 loops left on hook). Repeat (3 loops left on hook), repeat (4 loops left on hook. YO, pull through all 4 loops on hook. Round 7-9 or 10: Loosely sl st around in back loops only. Join, turn. Round 1: Magic Ring, ch 3. 10 dc. Round 3: 7 dc in ch-3 sp. Sl st over Round 2 sl st, into Round 1 dc. Repeat around. Join, finish off, weave in ends. Round 1: In magic ring, [ch 2, cluster, ch 2, sl st.] Repeat 4 times. Join, finish off, weave in ends. 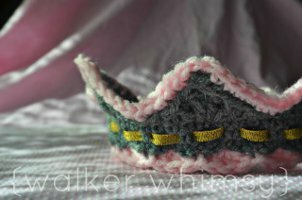 Help a Reader: How to Enlarge Crochet Caps? I am looking for a crocheted boot pattern with a Fireman’s symbol. Can anyone help me? 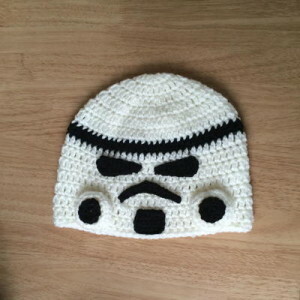 Could you tell me how to enlarge a crochet boy’s size cap to an adult size? Crochet is a very popular hobby for many people. I’ve recently started to crochet some things myself. I’ve made a few scarves to give as Christmas gifts. We had a few guest contributions come in from Aileen of goodtimesithinkso.com. 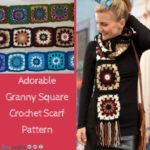 She has some really neat crochet patterns that you should definitely check out. 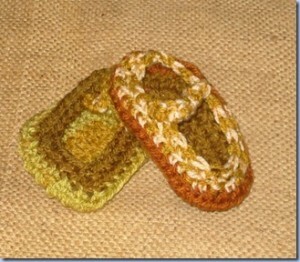 I love the crochet baby shoes, they make for a great baby shower gift for an expectant mother. The crochet hats are also great for anyone to wear in these cool fall and winter days. And if you’re looking for a special gift to make that special man in your life, you can crochet him a body warmer. Thanks Aileen for these wonderful crochet patterns, happy crocheting!